Ferro-leakeite: Mineral information, data and localities. Ferro-leakeite has been redefined in the 2012 amphibole nomenclature. Pre-2012, ferro-leakeite was defined as the Fe2+ and Fe3+ dominant mineral in the leakeite group. Today, the Fe2+ and Fe3+ dominant leakeit emineral is named ferro-ferri-leakeite. 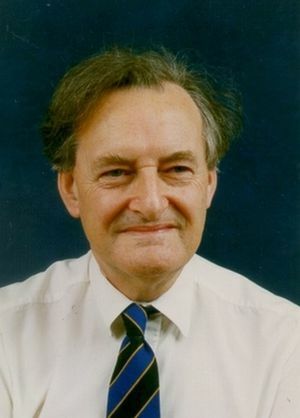 The series root name was named in 1992 by Frank Christopher Hawthorne, Roberta Oberti, Luciano Ungaretti, and Joel Dennison Grice in honor of Scottish geologist Bernard Elgey Leake [1932-], University of Glasgow and who was chairman of the IMA subcommitte to revise amphibole nomenclature. The chemical prefix designates the chemical relationship in the series. The element combination is only shared with ferro-pedrizite.